I’ve been blogging this month for National Adoption Month. This past Sunday was celebrated as Orphan Sunday in many churches. Today is World Adoption Day. That’s a big spotlight on adoption this month! Is all of this emphasis simply to get more people to adopt? Nope. Maybe you’ve seen a graphic like this one. 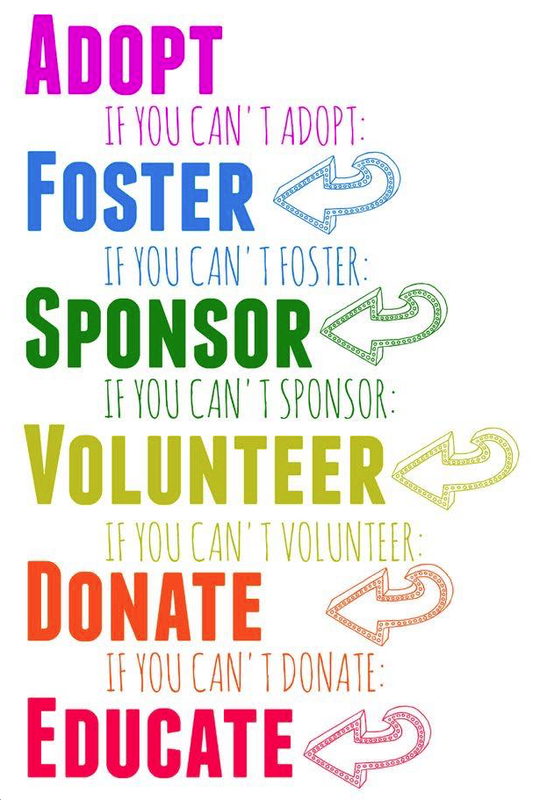 I think this is a great way to highlight the many ways that people can support adoption. However, I think that these are a little out of order. I think adoption should be down at the bottom of the list. So what do I think should be at the top of the list? Family preservation. Most of the children available for adoption are not true orphans. They have one or both parents living. In places like China, they are available for adoption because of lack of access to medical care. In America, they might be available because of drug addiction. In Haiti, they are available because of poverty. In fact, poverty is a pretty universal reason for children to be available for adoption. They don’t really need a new family. They need food, medical care, access to education, and a functional family who can care for their needs. A few months ago I saw a local news story being passed around on social media. A church pastor became aware of a woman who could not care for her toddler twin daughters due to poverty. She lived in another country, in a village where his church ran a mission. He helped the woman to go through the process of making her daughters available for international adoption. A couple in his congregation felt called to adopt the girls. However, the congregation pulled together and raised $50,000 so that the couple could adopt the twin girls. Cue the heartwarming happy ending. Only I was left thinking, wouldn’t it be great if we could intervene with families to help them before they get to the point where their children are adopted into another family? Love Without Boundaries– Providing medical care, education, and foster care to orphans in China. LWB’s Unity Fund provides funding necessary for medical care to families in crisis. One Sky– Originally founded as Half the Sky, this organization improves institutional care through training nannies and founding nurturing and educational programs within Chinese orphanages. The name was recently changed to One Sky when they began programs focusing on the “left behind” children of migrant workers. Morning Star Foundation– This charity provides funding for heart surgeries for orphans in China and Uganda. In addition, their Love Project promotes family preservation through funding heart surgeries for families in medical crisis. Holt International– While Holt is familiar to most as an adoption agency, their primary focus is humanitarian aid. Holt has child sponsorship programs in China enabling you to sponsor a child in a family in crisis—usually a single parent or grandparent-as-parent home. The sponsorship provides the child’s educational expenses, allowing the child to stay in school. Unbound is an excellent organization with child sponsorship programs around the world, although not in China specifically. Help a family in crisis through becoming a Safe Family–family friend or host family. Volunteer as a CASA volunteer. Contacting your congressional representatives and asking for them to make the Adoption Tax Credit permanent. The tax credit makes international adoption an option for many families. Supporting grants for children by donating to Reece’s Rainbow. Supporting grants for families who are adopting through charities such as Brittany’s Hope. Support adoptive family fundraisers by doing some of your Christmas shopping on the Shop With Purpose facebook group. Creating A Family for resources on foster adoption, private domestic adoption, and international adoption programs. 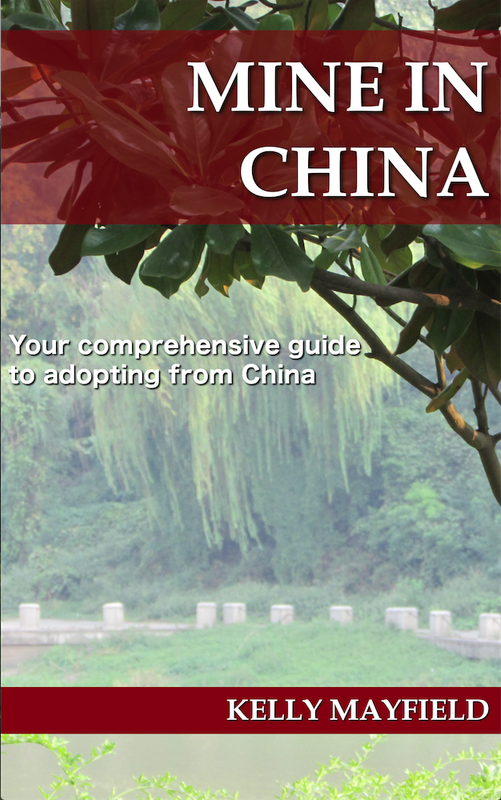 And of course, if you are interested in adopting from China you can read the many resources I have on this blog or contact me directly. If you’re on Facebook, join the China Adoption Questions group. Many families decide to adopt through adoption advocacy. It can be easier to say yes to adoption when you are saying yes to a particular child or children. I have been advocating for twin boys in China for over a year and a half now. They are four years old, and I cannot confirm that they are even eligible to be adopted any longer. They were born prematurely but are physically healthy at this point. The reason they have been waiting so long for a family that their orphanage no longer considers them adoptable is that one brother likely has mild to moderate autism. At any given time, there are at least a dozen families in process to adopt a child with Down syndrome. However, the stigma against autism seems to be even greater. There are SO MANY wonderful resources here in America for kids with autism. Parents now expect their children with autism to grow up to be functional adults. 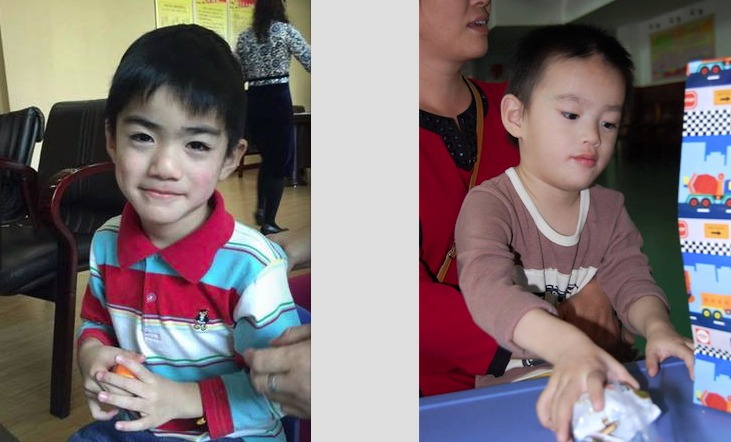 Videos of the autistic twin show many good indictors such as good object tracking, crossing his midline, being held and touched in an appropriate manner. He also handles noise and his play being interrupted very well in the videos. If an interested family were to stop forward, we could convince the orphanage to once again make them available for adoption! You can see some additional pictures here or contact me directly atmineinchina@zoho.com for more information. This entry was posted in Uncategorized and tagged Adoption Resources, National Adoption Month on November 15, 2016 by minefam.